FALLING SNOW = FALLING PRICE! PLUS seller will pay $2, 500 in buyer closing costs! Location eligible for $0 down Rural Development loan!! Large 4 to 5 bedroom 1.5 bath home in Brandywine is just waiting for you to make it home! Set on a generous 1.27 Acres lot for you to enjoy. The original living room was 14 x 25, it is now divided for a 5th bedroom. Master bedroom could be on the main floor. The yard is fenced too - great for kids and pets! Large Garage that is a big plus! Good sized livingspaces too. Wood floors in this vintage 1910 home. Large upper level deck. Located near the state line, easy drive to shopping and dining. Low township taxes make for a more affordable house payment. Stove & frig included. 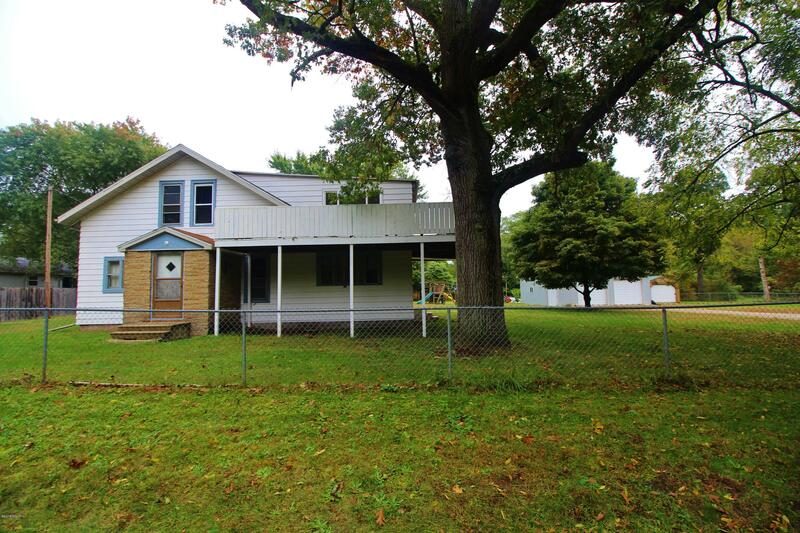 Check out the potential in this property!! The 1 stall shed will be removed #TalktoTammy Anders with your questions or to set a time to see 269-362-5101.